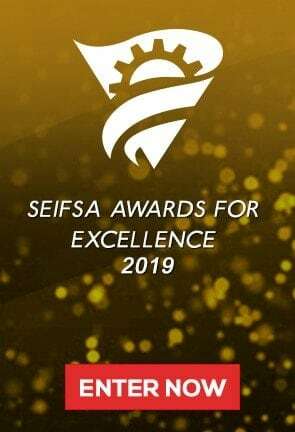 Johannesburg, 17 April 2019 – The Steel and Engineering Industries Federation of Southern Africa (SEIFSA) is concerned with the latest Consumer Price Index (CPI) figures released by Statistics South Africa (StatsSA) today which reflects an increase in the general level of prices for goods and services, against the backdrop of existing volatility in fuel prices, SEIFSA Chief Economist Michael Ade said this morning. According to the Stats SA data, the annual CPI was 4,5 percent in March 2019, up from 4,1 percent in February 2019. The index increased by 0,8 percent month-on-month in March 2019. “The latest inflation data is of great concern to beleaguered businesses in the metals and engineering sub-sectors and the broader manufacturing sector, which are facing continuous headwinds including rising intermediate inputs costs. Moreover, over-indebted consumers are not afforded a reprieve from oscillating petrol prices and a general rise in the prices of goods and services underpinned by a weaker rand and a difficult economic environment,” said Dr Ade. He added that consistent and unpredictable fuel prices, increasing intermediate input costs and passive domestic demand impacts negatively on the margins of businesses, also negatively affecting profitability. Dr Ade said the difficult operational environment faced by businesses is of great concern, and the added pressure in the form of higher CPI figures is worrisome. A constant rise in the general level of prices which decreases the purchasing power of the rand does not augur well for broader manufacturing which imports the bulk of its inputs. Dr Ade said it is also disconcerting to see that CPI data is now delicately poised at the mid-point of the South African Reserve Bank’s official inflation target range of 3 percent to 6 percent. “Given this context, businesses still have to closely monitor petrol prices, the volatile exchange rate and the unpredictability in electricity supply, as upside changes of these variables may lead to additional costs with compounding inflationary effects,” Dr Ade concluded.